Although grime originated in London during the 2000s, this has not faltered its growth throughout the country. Previously the genre was underground; a mix of garage, jungle and hip hop. However, it has evolved over the past decade with crews and MCs gaining more and more popularity in the mainstream UK music scene. This has meant that grime has spread to other notable cities, such as Manchester, Birmingham and even – Cardiff. 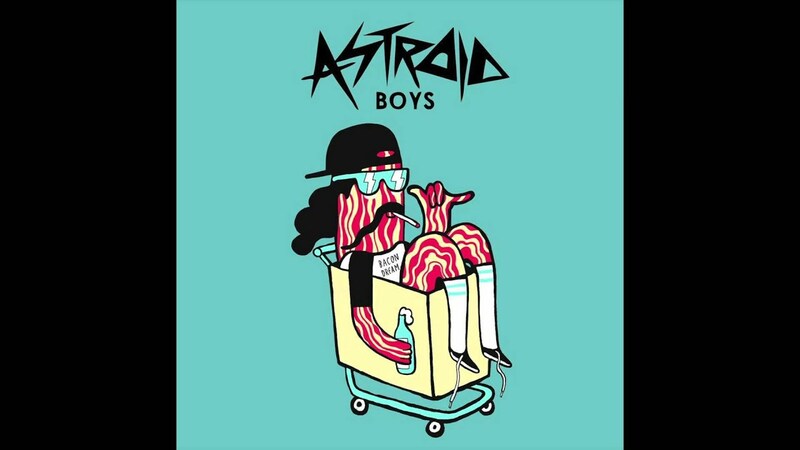 Astroid Boys are increasingly becoming a force to be reckoned with, bringing something new to grime. An alternative to the standard, they have implements of punk and rock, bending the genre in a new direction. The CF10 hailing five piece have had a great year, selling out gigs nationwide during their tour. Their gigs are notable and notorious, giving youth and like-minded people a chance to breathe in their raw sound. With massive tunes such Brudda and Posted, their success can be seen recently where their song Dusted has been picked as the official theme song for WWE UK – catapulting them into the spotlight further. On the 12th of December, Astroid Boys played their hometown gig at Clwb ifor Bach, more-or-less ending the tour with a bang. The supports included Neverland Clan, Grove Street Families, Manga and more, riling up the room with pure energy. The naked aggression was there, released and recycled as each act did their part. I particularly enjoyed Neverland, sparking a violent edge with their music. By the time Astroid Boys came on – finally – the room was sweaty, slurred and ready to “Wake up and smell the bacon”. Within seconds, DJ Comfort had everybody bouncing with the help of Traxx and Benji, climaxing the night into a space of vigorous head banging. Their DIY sound shone with Big H on the drums – fusing together their sound faultlessly. Quality gig to end the year.